courtyard of MUBA Messe in Basel Switserland. In co-oporation with Andrea Schumann from Hungary. 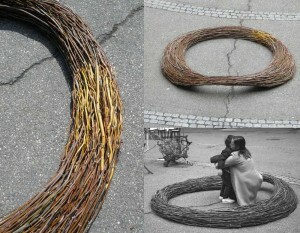 The materials are willow branches. The dimension is Ø 2.35 meters.